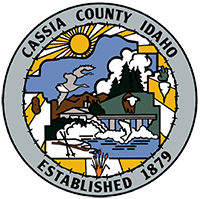 The Mini-Cassia Criminal Justice Center is mandated by State Law to take charge of and keep in the county jail, and to take before the nearest Magistrate, those adult individuals who are charged with or convicted of a public offense. Following American Correctional Association and the Idaho Jail Standards it will provide in a most cost effective manner, the highest degree of security for the citizens and the safety for both the inmates and staff of the correctional system. Inmates shall leave the facility no worse and hopefully better through the education programs offered enveloping adult continuing education, substance abuse programs and rehabilitative community based programs. The professionally trained staff and management of the Mini-Cassia Criminal Justice Center are committed to the preservation of the basic human rights and dignity of the inmate population as prescribed by the Constitution of the United States. The Mini-Cassia Criminal Justice Center will ensure that allegations of sexual abuse or sexual harassment are referred for investigation to an agency with the legal authority to conduct criminal investigations unless the allegation does not involve potentially criminal behavior. The Sheriff will decide when the investigation will be handled by investigators of his/her agency or if the investigation should be referred to an outside agency. All referrals will be documented. If the Detention Center decides not to refer an allegation for criminal investigation, that decision must be reviewed and approved by the Sheriff or his/her designee. If an outside entity conducts criminal investigations, the Mini-Cassia Criminal Justice Center will cooperate fully with the investigation by providing access to the suspect, victim, witnesses and necessary staff. The detention center will also provide a secure room for investigators to conduct the interviews and paperwork. The outside entity conducting the criminal investigation will be asked to comply with the rules of the facility and the PREA standards. All requests to the outside entity will be documented. Once the investigation is completed, the outside entity will be asked to meet with the Sheriff to give a full report of the outcome of the investigation and recommendations for prosecution. Information contained herein should not be relied upon for any type of legal action. These people were housed in the Cassia County Jail for criminal offenses. This list does not include juvenile offenders. This database is updated frequently, so recent changes in the status of inmates may not appear in this online database. Inmate status can only be confirmed in person or by phone. Call (208) 878-1000 for information.